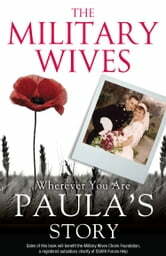 This is Paula’s story, one of four individual journeys taken from Wherever You Are by The Military Wives. Paula and James Mundy first met when they were teenagers, little knowing they’d end up spending the rest of their lives together. After James had completed his marine training they met again, became inseparable, and before long had moved into married quarters. 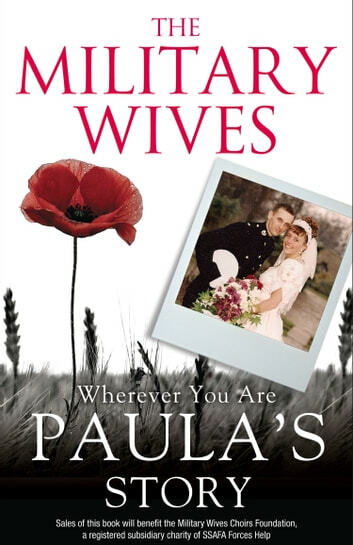 But life as a military wife would be particularly hard for Paula. With James posted overseas, she was left to cope with the mental and physical disabilities of their daughter Rhianna, had full responsibility for her elder brother and younger sister, and in 2011 she was left reeling when her mother was diagnosed with cancer. When Paula began singing with her local choir, she realised she had an outlet for the first time; a way to switch off. In the dozens of other wives, each with their own hardships to overcome, she found a support network; through the darkest times, the choir was there. Mere months later, the Military Wives choir would have performed for the Queen, recorded a bestselling album and achieved a Christmas number 1. This is one woman’s true story of heartbreak, love and loss, and of how singing kept hope alive. Sales of this book will benefit the Military Wives Choirs Foundation, a network of choirs that reaches across the military community to provide support, guidance and funding for individual choirs, but first and foremost to bring women closer together through singing. The Foundation is a registered subsidiary charity of SSAFA Forces Help. Breaking the Silence: Two little boys, lost and unloved. One foster carer determined to make a difference.